Are you looking for fun and inexpensive craft idea to make some home decor pieces? Did you know that there are a lot of beautiful and original crafts you can make with matchsticks. Here’s a nice example to make a unique match craft. 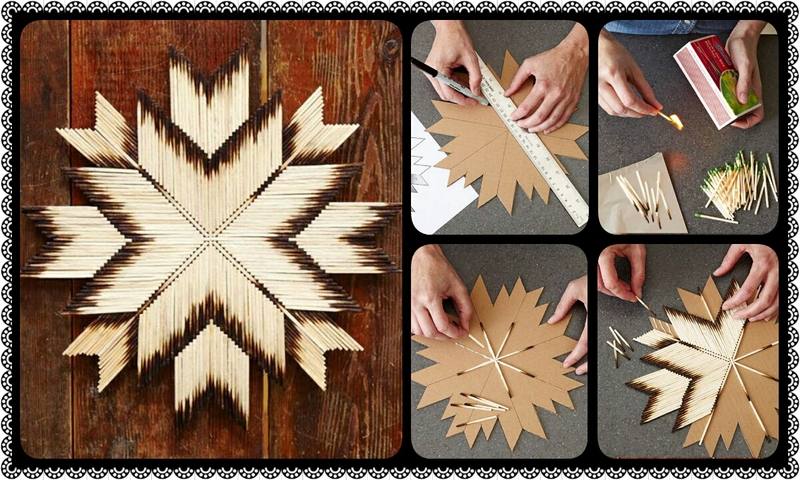 This matchstick star looks fabulous and is great for your holiday decorations. You can hang it on the wall and it will be an attractive wall art. It is fun and easy to make. All you need are some burnt matchsticks and a star template. With some time, patience and creativity, you can make a unique craft of matches that will exceed all your expectations. Happy crafting!